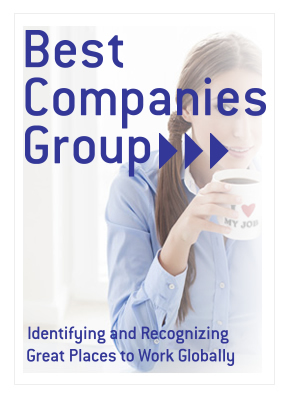 Best Companies Group (BCG) is dedicated to establishing “Best Places to Work,” “Best Companies” and “Best Employers” programs in an effort to distinguish companies who demonstrate and are superior in workplace excellence. We research the dynamics and characteristics of participating companies, analyze the data and produce a “Best” distinction that will make the company, the selected region (or industry) and the organizing partners proud. For questions and information regarding BCG Services please click here. For more than 50 years, Casual Living has grown with the market to become the most trusted voice in covering the products, trends and industry news vital to keeping pace with this dynamic market. Casual Living is an integrated marketing platform with access to the most influential buyers and industry leaders that drive the casual market. Whether through traditional advertising, digital marketing, research, custom content solutions or event marketing, no other brand provides marketers with the breadth of marketing expertise necessary to support your unique marketing goals. Central Penn Business Journal is the award-winning business newspaper of record for Central Pennsylvania, providing more information, more analysis and more advice pertinent to business than any other local media outlet. As the most widely read local business publication in Central Pennsylvania, the Journal reaches entrepreneurs, corporate boards, middle managers and CEOs. In short, the decision-makers are reading the Business Journal. Central Penn Parent is a magazine for parents in Central Pennsylvania, including Cumberland, Dauphin, Lancaster, Lebanon and York counties. Owned by BridgeTower Media (which also publishes the Central Penn Business Journal), Central Penn Parent is headquartered in Harrisburg, Pa. In print and online, we offer news, entertainment and advice on everything from potty training to family finance—with a local spin. The Charleston Regional Business Journal is the biweekly publication serving senior-level decision-makers in the Charleston region. In addition to the newspaper, the Business Journal covers business digitally with email — the Daily Journal and Weekend! 10 Ways to Play — and a website, CharlestonBusiness.com. The Business Journal also offers annual print supplements: the Book of Lists, Profiles in Business, Market Facts, the Event Planning Guide, Giving and Newsmakers. The Business Journal also produces the region’s premier business networking events: Forty Under 40, the Power Breakfast Series and Health Care Heroes. 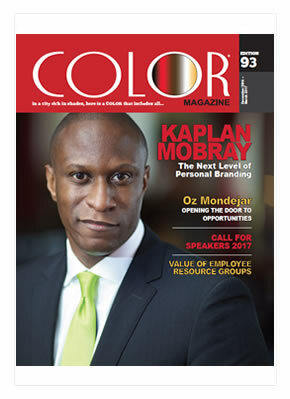 Color Magazine is a premier all-inclusive magazine that highlights topics of interest revolving around professionals of color. In addition to our magazine we also host three annual events, each with a unique focus, but with the same goal of elevating professionals of color. The Columbia Regional Business Report is the biweekly publication serving senior-level decision-makers in the state capital. The Business Report also serves Columbia daily through email, with the Morning Report and the Daily Report; a website, ColumbiaBusinessReport.com; and with print supplements that include the Book of Lists, Profiles in Business and Giving. The Business Report also offers the Power Breakfast Series and hosts the statewide event the Roaring Twenties. Founded in 1872, the Daily Journal of Commerce (DJC) provides the most comprehensive resources and reporting on the Portland, Oregon building and construction market. DJC is also the premier source of public notice information, including call for bid notices and real estate foreclosure listings. For over a century, DJC has connected subscribers to key business opportunities all around the state, providing up-to-date coverage and reporting of industry developments such as construction news, real estate, development, urban planning, energy, transportation news and more. Daily Journal of Commerce also offers a premium, companion database of active project bids and supporting documents to keep area contractors and business owners connected to jobs, leads, and the state of their industry. Founded in 1922, the Daily Journal of Commerce serves the building and construction industry throughout the Gulf Coast as the most affordable and comprehensive construction lettings news source. The Daily Journal of Commerce’s newspaper and digital services are designed for and read by leading industry professionals — architects, engineers, general contractors, subcontractors, and suppliers. The Daily Journal of Commerce online database is updated regularly—providing subscribers with real-time updates via email. Subscribers have immediate and timely access to hundreds of construction bids, sub-bids, building permits, and public notice postings throughout the Gulf Coast. We want you to get the most out of your visit to www.djcgulfcoast.com. If you have any questions, or would like a free trial and tour of the website, please call Joe Owens at 504-293-9207. Since 1888, The Daily Record (Maryland) has provided trusted and timely legal, business and professional news to Maryland readers. The print version of The Daily Record is published five days a week. Our website is updated throughout the business day with news stories and blog posts. The paper also publishes more than 30 special publications each year on topics of interest to Maryland business and legal professionals, including health care, real estate, small business, county growth reports and minority business. The Daily Record honors Marylanders at eight annual awards events and endeavors to be active in the community. Designers Today offers the kind of fresh content interior designers and industry people are craving. It speaks in a voice that educates, entertains and inspires. Filled with a spry mix of industry news, business-centric articles, product introductions, and lifestyle, DT delivers stylish and useful substance with a dose of heart that helps keep ideas and inspiration flowing. We are a platform that connects our colorful and enduring community, and we are going to 8 issues per year to reflect the forward pace of our industry. Furniture Today is the leading information source for retailers, manufacturers, suppliers and service providers in the furniture industry. From the latest news to product introductions, Furniture Today is the premier source of information for the furniture marketplace. Our mission is to lead the residential Home Furnishings industry with timely, accurate and comprehensive content including news, analysis, product and service information, commentary, statistics, research and education. Furniture Today brings together retailers, producers, suppliers and other key industry stakeholders to create a community of ideas, commerce and conscience. GSA Business is the biweekly publication serving senior-level decision-makers in the Upstate, encompassing Greenville, Spartanburg and Anderson and the surrounding counties. In addition to the newspaper, GSA Business delivers business news via email with the Morning Blend, GSA Daily and a website, GSABusiness.com; and the Book of Lists, Market Facts and Newsmakers. GSA Business also produces the Power Event Series and the S.C. Manufacturing Conference & Expo. 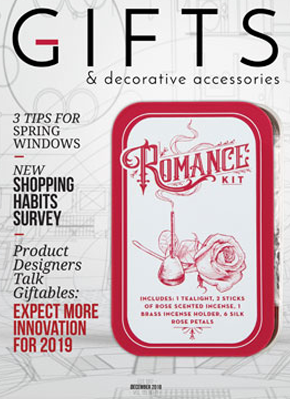 Founded in 1917, Gifts and Decorative Accessories is the leading magazine in the gift and accessory industry, serving as an expert voice for retailers, manufacturers and vendors. Available in print and online, GDA reports on breaking news, product trends, research studies, business tips and other articles that give valuable insight into the market dynamics that affect readers’ business. Home Accents Today is the market-leading trade information source for the home accents industry, offering a comprehensive package of print, digital and online products. Written for retailers and interior designers, Home Accents Today covers all of the major domestic home furnishings and gift markets, and provides readers with the most comprehensive “first look” at trends, new products and best practices in the industry. HFN is the only source of Total Home Retail Innovation and Inspiration. 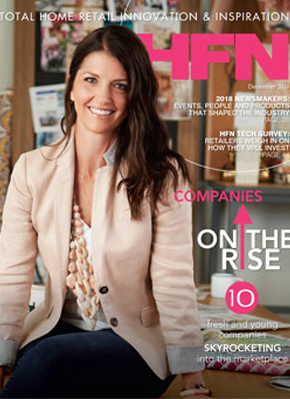 HFN is read by top-level executives across all the retail channels that sell home products—from departments stores, specialty retailers and mass merchandisers to online retailers, wholesale clubs and discounters. 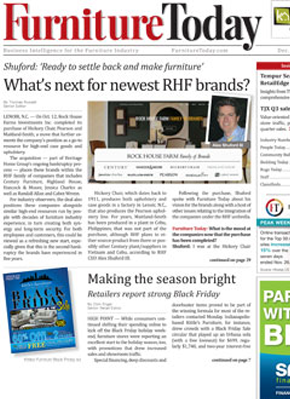 HFN editorial focuses on market leaders, innovators and disruptors and the quest for total home omnichannel retailing. HFN is the only business-to-business brand that covers all home categories, including housewares, tabletop, textiles and rugs, furniture, lighting and home décor. Idaho Business Review is Idaho’s most trusted source of local business news and information. Published each week on Friday, IBR includes exclusive, need-to-know business news, a comprehensive leads database of public records, and numerous advertisements of interest to Idaho’s marketplace. The Journal Record newspaper is our flagship – an award-winning daily general business and legal publication that includes a daily print newspaper and a 24/7 website. Both focus on local and state-wide business trends and in-depth stories that convey the voice of the Oklahoma business community. Lehigh Valley Business is the award-winning business newspaper of record for Lehigh Valley, providing more information, more analysis and more advice pertinent to business than any other local media outlet. As the most widely read local business publication in Lehigh Valley, the Journal reaches entrepreneurs, corporate boards, middle managers and CEOs. In short, the decision-makers are reading the Business Journal. Long Island Business News is Long Island’s only publication devoted to local commerce and has been the premier source of news and data on business, economic trends and the region’s robust entrepreneurial sector for more than 50 years. We pay special attention to the region’s leading sectors: education, health care, high-tech, financial and professional services, and commercial real estate and development. Massachusetts Lawyers Weekly newspaper, founded in 1972, reports decisions issued by all the state and federal courts in Massachusetts, as well as changes to court rules, verdict & settlement reports, bar-discipline notices and all other news vital to attorneys in the commonwealth. In addition to reporting all decisions issued by the Supreme Judicial Court, the Massachusetts Appeals Court and the 1st U.S. Circuit Court of Appeals, Massachusetts Lawyers Weekly also covers hundreds of rulings from state and federal trial courts in Massachusetts, and state agencies like the Massachusetts Commission Against Discrimination. And Massachusetts Lawyers Weekly now covers thousands of unpublished decisions from the Appeals Court – every ruling issued by the court. Michigan Lawyers Weekly, founded in 1986, reports on the latest legal news from across Michigan. Attorneys in the state can stay up to date with digests of the most current opinions from state and federal courts in Michigan. MiLW also reports changes to court rules, verdict & settlement reports, attorney and judicial discipline matters and all other news vital to attorneys in the state. Minnesota Lawyer is a trusted source of digests and full-text opinions regional in nature and valued by our readers. Every week we provide Minnesota’s legal community independent local coverage that impacts our readers. MinnLawyer.com stays current with breaking news and its own entertaining and insightful blog. Missouri Lawyers Media is composed of Missouri Lawyers Weekly, St. Louis Daily Record, The Daily Record – Kansas City, St. Charles County Business Record, The Countian – St. Louis, and The Countian – Jefferson County. For over 100 years, our business and legal publications have been serving Missouri professionals, and we comprise Missouri’s largest and most expert legal news operation. We report on the business of law and the people’s business, in the form of enterprise coverage of the courts, politics, government, real estate and general business. NJBIZ, New Jersey’s only weekly business journal covering the entire state, was founded in 1987. The publication has received numerous statewide and national awards including the 2010 silver award for best business journal from the Alliance of Area Business Publications and the 2006 Most Improved Award from AABP. 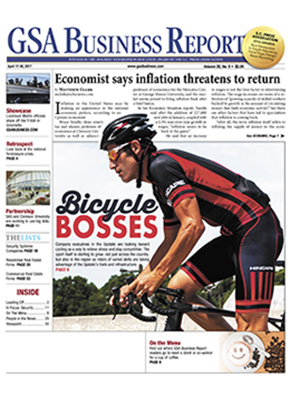 CityBusiness covers New Orleans business news in print and online. You’ll find coverage of the latest trends in banking, health care, economic development, commercial real estate, high-tech industries, community events and more. North Carolina Lawyers Weekly has been providing essential legal news, opinions, and court decisions to its readers since 1988 and is a top source of legal information for practicing attorneys in the state. North Carolina Lawyers Weekly covers all decisions issued by the North Carolina Supreme Court and the North Carolina Court of Appeals, in addition to the hundreds of rulings from state Circuit Court judges, U.S. District Court judges, 4th U.S. Circuit Court of Appeals judges and other state agencies. Rhode Island Lawyers Weekly reports decisions issued by all the state and federal courts in Rhode Island, as well as changes to court rules, verdict and settlement reports, disciplinary notices and all other news vital to attorneys in the state. In addition to reporting all decisions issued by the Rhode Island Supreme Court and the 1st U.S. Circuit Court of Appeals, Rhode Island Lawyers Weekly covers hundreds of rulings from state and federal trial courts in Rhode Island, including the Superior Court and the Workers’ Compensation Court. Decisions from state agencies, including the Human Rights Commission and the Ethics Commission, are also included. The Rochester Business Journal has served as the leading source of business news and information in Rochester, N.Y.
Providing unmatched business coverage of a market exceeding 1 million people, the Rochester Business Journal is the source that 72,000 area executives come to first for coverage of the people and companies that drive economic growth in the Rochester-Finger Lakes region. Our coverage is not limited to the area’s top public companies; the members of our award-winning editorial staff have been cited for excellence in reporting on health care, technology and small business and other subjects. SCBIZ is the quarterly magazine serving senior-level decision-makers across the entire state of South Carolina. In addition to the print publication, SCBIZ covers the state’s business community with a daily email, SCBIZ Daily; a weekly email, Southeast Supply Chain News; and a statewide event — the Roaring Twenties. With a focus on economic development issues, SCBIZ magazine takes a thoughtful, analytical look at complex topics, opportunities and challenges facing the state’s business leaders and fulfills the SCBIZ mission of being South Carolina’s media engine for economic growth.SCBIZ also has a Custom Media division that leverages the business publishing expertise and talents of SCBIZ into custom content and marketing. Products include economic development reports, directories, newcomers guides, marketing materials and brochures, as well as customized magazines with custom-written content and full photography. The Custom Media staff also provides full-service distribution and direct-mail solutions. South Carolina Lawyers Weekly covers all decisions issued by the South Carolina Supreme Court and the South Carolina Court of Appeals, in addition to the hundreds of rulings from state Circuit Court judges, U.S. District Court judges, 4th U.S. Circuit Court of Appeals judges and other state agencies. Our legal news coverage highlights developments in case law, changes to court rules, verdict & settlement reports and all other news vital to South Carolina lawyers. South Carolina Lawyers Weekly is your source for all things legal. The Mecklenburg Times newspaper has been covering Metro Charlotte, Mecklenburg, Union and Iredell counties since 1923. The newspaper and website feature the latest real estate, development and construction news and information as well as government, political and local news – including breaking stories, data and expert columns. Online readers have access to digital editions. Users rely on our searchable data archives to get the latest information. As the region’s leading publisher of legal records and public notices, we also offer listings for new business filings, bankruptcies, foreclosures and real estate transactions. Virginia Lawyers Weekly has been providing essential legal news and court decisions to its readers since 1986 and is the commonwealth’s top source of legal information for practicing attorneys. Virginia Lawyers Weekly covers all opinions issued by the Supreme Court of Virginia and the Virginia Court of Appeals, in addition to hundreds of rulings from state Circuit Court judges, U.S. District Court judges, the 4th U.S. Circuit Court of Appeals and other state agencies. Since 1986, the Wisconsin Law Journal has provided the latest in news and information lawyers and judges need to stay up-to-date. The Wisconsin Law Journal is committed to providing all the information you need to better your practice, including in-depth analyses of case decisions, comprehensive coverage of our state’s legal community, access to our verdict and settlement database and updated judicial profiles. Specific, practical, helpful – that’s the kind of vital information the Wisconsin Law Journal delivers and that’s why Law Journal is considered essential reading by practitioners throughout the state.